Taxi software become a significant factor to grow taxi business globally. know why? Home » Taxi App » Why taxi software become a significant factor to grow taxi business globally? Many taxi business services have become popular across the globe due to the use taxi software. The comprehensive yearly report for taxi business claims that there is a noticeable rise found for taxi companies coming forward to provide services which benefits the passengers. Infinite Cab is one of the best taxi software with taxi booking app available on Android and iOS platforms. The ease of booking a taxi instantly and the cost-effective service from the taxi companies attract the passengers. Hence, taxi business became one of the emerging industries across the globe. There are notable benefits of using taxi software or taxi app to book the taxi. Rather than following the traditional way, the bygone method of hailing one from a taxi stand and searching for a cab on the streets is an outdated practice. Now, the system has completely changed and this creates a significant impact on our day to day life. 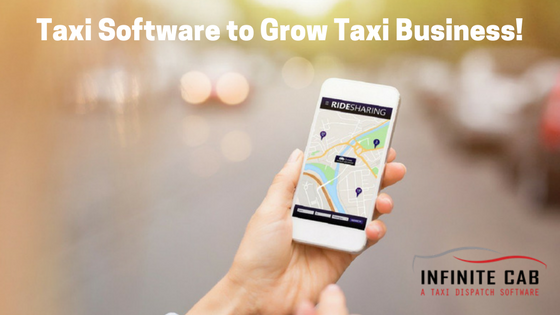 Let’s look at some of the significant benefits that a taxi software would offer your customers, which in-turn could prove to be conducive to expand your taxi business. In earlier times a taxi business was limited by several factors, the scenario has changed drastically since the advent of taxi software and mobile applications for hiring a taxi. The use of taxi booking apps or taxi management software for your taxi business will help you to expand the taxi network globally. Since white label mobile taxi apps are highly relevant these days, any person can book a cab using just their mobile device. This opens up a whole new demographic of people for your growing taxi service. Increased profitability is the main reason why cab aggregators choose to run their operations using software that rectifies everything and makes calculations very well-regulated and straightforward. The taxi business owner can also change the formula to calculate perks depending on the revenue for a given day of the week or for a particular time slot etc. to maximize his/her profits. A major factor that works in favor of the taxi app is the fact that it is highly automated and a mostly turnkey operation when you make the change from traditional methods. There is real-time data available right at your fingertips which can tell you what is happening at ground level. This is a far more elegant solution than having to employ people who are in charge of monitoring & managing the performance of your taxi services. When you migrate to a taxi software or taxi app, you can service your customers in a better way, and it will make the operation easier. They can use their app to book a cab, and they can see on the map exactly where their driver is. Also, different payment methods are available to the passenger, adding more flexibility for your customers. Ride fairs can calculate before a customer gets into a car, which prevents a lot of frustration as there is no haggling during the ride, at the same time as an owner of a business you can see exactly how you are doing that day with the push of a button. An efficient taxi dispatch software will help you manage your taxi business and make quick decisions. The taxi business owner can get comprehensive data like time, the number of trips, distance, etc. The best part is that all this data can track in real-time without any delays. Opting to migrate from conventional means to a taxi software is the logical next step to a taxi business . There are too many advantages of using mobile taxi app without any severe drawbacks that happen with new technology. These taxi apps do not just offer taxi services – some of the more advanced apps provide several options including customized trip booking, commercial deliveries, and point to point solutions to name a few. No Thoughts on Why taxi software become a significant factor to grow taxi business globally?